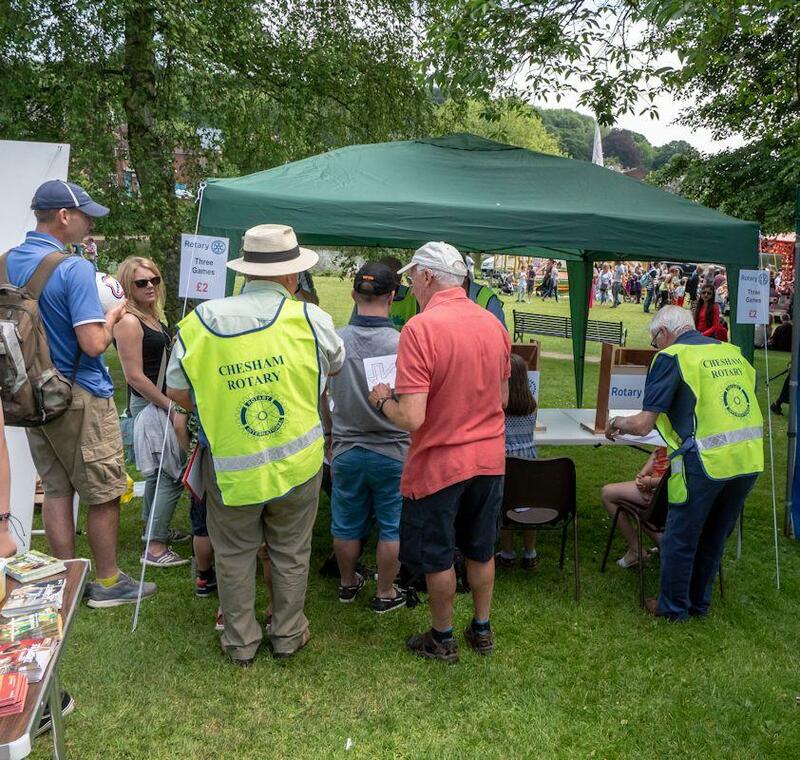 Chesham Rotary Club members were pleased to be involved in this year’s Chesham Schools Carnival, the main event being in Lowndes Park. 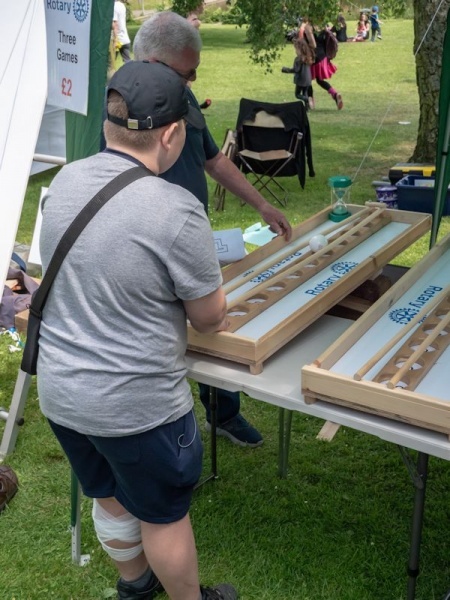 We had a stall which had three newly constructed fairground type games for the public to test themselves in various ways. The first one was to trace along a marked roadway with a pen but it had to be done looking in a mirror so everything was the opposite way round, not as easy as it looked. The second one was a ball and sticks game to try and drop the ball in the highest numbered slot. Finally there was the wall game which was especially popular. There was a prize for the highest score of the day and with a possible maximum score of 120, the scores gradually increased during the afternoon until the eventual winner achieved a very creditable 110. The winner of the Under 10’s scored a magnificent 99. The games proved to be very popular and one very special comment from a punter who had just finished all three games was especially pleasing, he thought that this was, ‘the best stall at the Carnival’. We couldn’t possibly comment on that but he was probably correct. 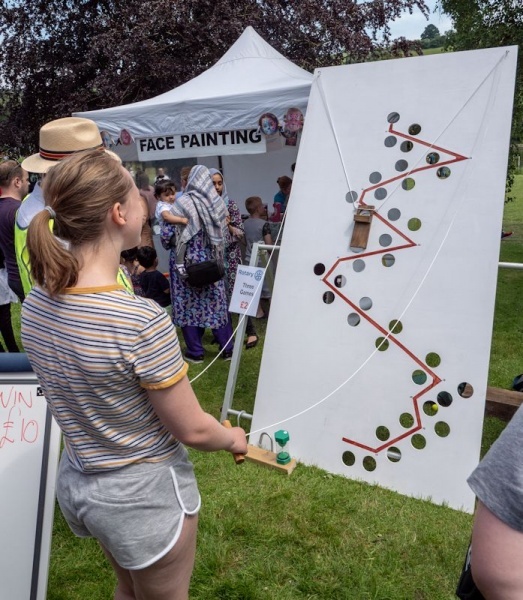 The games will be making further appearances at the Chesham Donkey Derby at Botley Road on Sunday 24th June and at Brushwood School Fete on Saturday 30th June. Come along and see us and have a go, it is a lot of fun.